Running on the Jersey Shore, NJ. 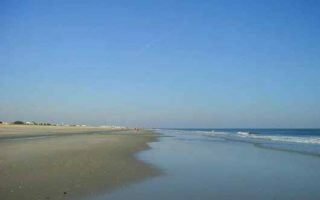 Best routes and places to run on the Jersey Shore. Stretching some 130 miles from Perth Amboy south to Cape May, the Jersey Shore has been a popular summer destination for New Jerseyans, New Yorkers, and Pennsylvanians since the 1800s. The Shore is known for its miles of wide, flat beach. There are honky tonk towns with bathing suits and bling, and private enclaves with gorgeous seaside mansions. The highlights of running on the Jersey Shore are its great beaches, historic boardwalks, and numerous bike paths. Some towns, notably Cape May, Spring Lake, Ocean Grove, and Avalon are especially pretty for running. Because of The Jersey Shore’s widespread geography, we’ve grouped our running guide into themes. To view by geography, open up the Google map on the right. Highlights below. We’ve also devoted a whole section to Cape May. 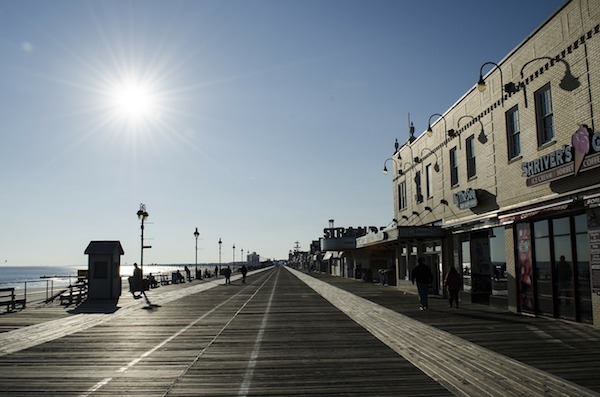 Boardwalks: We feature six of the longest and best boardwalks for running on the Jersey Shore. Beach: The Shore is nearly one continuous beach. We’ve researched those that are best for running — wide, with a good chance of packed sand. Bike Trails: The bike trails on The Shore are mainly interior ‘rail trails’. We’ve featured the most interesting and scenic paths for running. 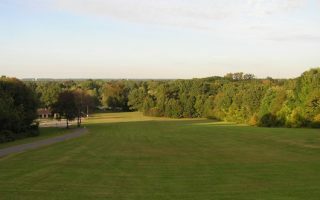 Parks, Trails, and Lakes: There are plenty of good options away from the boardwalks and beaches, including great state parks with running trails, several lakeside perimeter routes, and some good hill options. Best Towns for Running: Pretty residential streets and quaint spots away from the action. 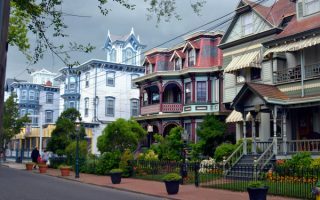 Cape May: The southernmost part of the Jersey Shore has it all — beach, history, and gorgeous architecture. We’ve put together 6 great routes here, including some noteworthy spots in nearby Wildwood and Ocean City. Our guide to the best running spots in NJ Shore towns, focused on interesting spots away from the beach and busy boardwalks. Victorian-lined streets, stately homes, scenic roads along the bay, and quaint commercial spots. These are some of our favorite state parks and lakes that provide some great running options inland from the Shore. A good combination of paths around reservoirs, farmland trails, and some wooded trail running. Some good hill opportunities. 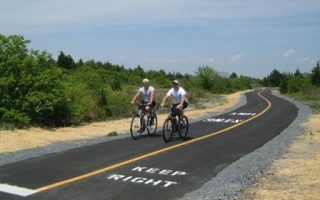 Several former railroad tracks are now bike paths in the Jersey Shore area. Many are interior, providing an alternative to the boardwalks and beaches. The most scenic spots are Sandy Hook, and the first 2 miles of the Henry Hudson Trail.